On the back of booming retail industry in Pakistan – growing at the rate of 8% per year – and improving law and order situation of the city, many new retail players have emerged in recent years. Bachaa Party is one such addition to the country’s flourishing $152 billion retail market albeit with a model focused on a niche segment: Bachaa Party is, arguably, the first kids only shopping mall in Karachi. Opened in Gizri last month, Bachaa Party is being managed by Ahmer Javed, the store’s director and a member of the family which owns Chase Up – a department store chain. Bachaa Party caters to children’s needs from birth till the age of 14 including clothes, shoes, stationary, toys and accessories for both boys and girls. In the words of the management, providing convenience under one roof is the motto of the store. 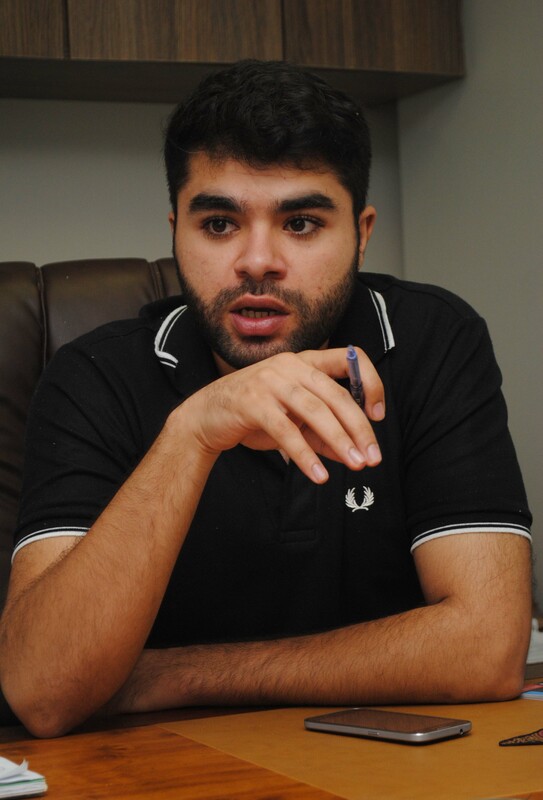 “We have a play area, air conditioning in the mall and a valet parking so that mothers can freely do the shopping and once they are done they can call the kids and check sizes and everything,” said Bachaa Party Director Ahmer Javed about the approach behind his venture. A former employee of American retail chains Target and The Home Depot Canadian branches, Javed felt the lack of a kids oriented store in the country where mothers could buy everything under one roof and thus opted for this business opportunity. “There is a large chunk of our population that is under 18 and there is no shop that is kids only, we are trying to solve a basic problem for mothers,” Javed said about his inspiration in an interview with Pakistan Today. Connecting with the upscale neighborhoods of Clifton, Defence and the low-income settlement of the Punjab Colony, the store location caters to all segments of the society, something also reflected in their pricing structure. “The prices that we have are relatively reasonable and they are very easy on your pocket,” Javed said and mentioned that the starting price for shoes and clothing variety at the store is Rs 299. 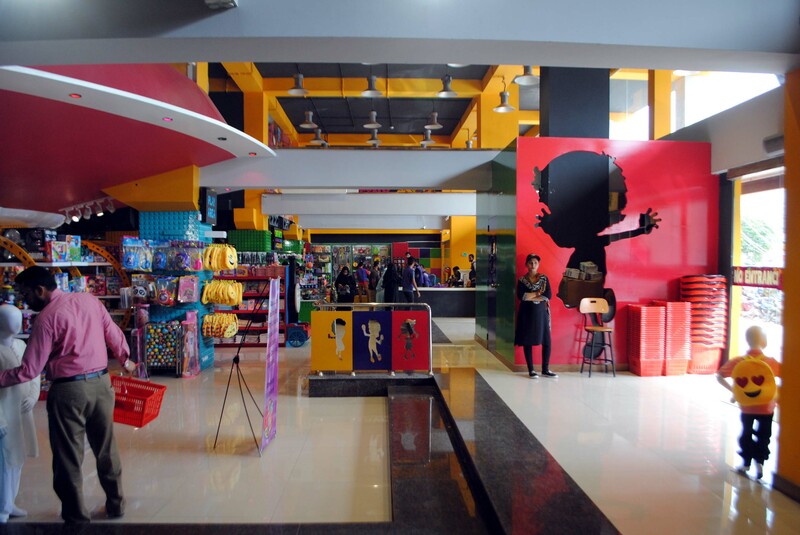 The vibrant color theme, pillars constructed with legos and a spaceship model at the entrance is making Bachaa Party a favorite shopping spot for the kids in the city. According to Javed, nothing has helped him more than the word of mouth marketing done by the kids who have visited the store with their parents. “A mother told us that her kid went to summer camp and his friend told him about Bachaa Party,” he said while talking about the numerous customers who visit the store having heard good things about it from other kids. “We have our comments cards and on those we see the addresses of people coming from [all over] Karachi. The response has been great,” he said about the overwhelming response Bachaa Party has received in a mere one month’s time. After seeing the response at its first outlet, Javed intends to start an online store for Bachaa Party so that the first ever kids only store can set foot in the $100 million e-commerce market of Pakistan. “We’re on it right after Eid,” he said of the online store which will become operational in the next few months. I suspected, however, that I wasn't homesick for anything I would find at home when I returned. The longing was for what I wouldn't find: the past and all the people and places there were lost to me.